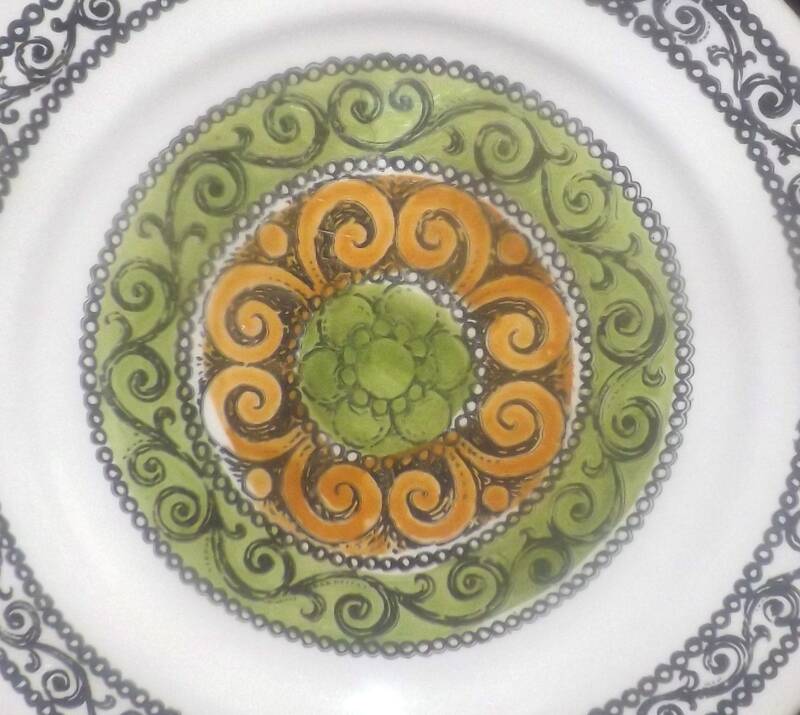 Vintage (1960s) retro Broadhurst Agincourt pattern dinner plate. 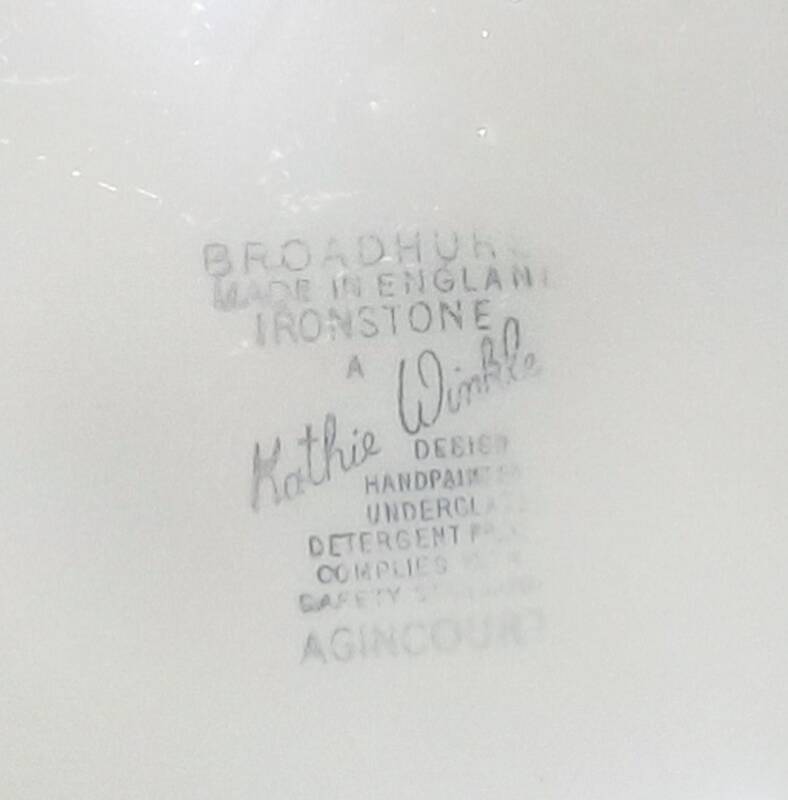 Made in England designed by Kathie Winkle. 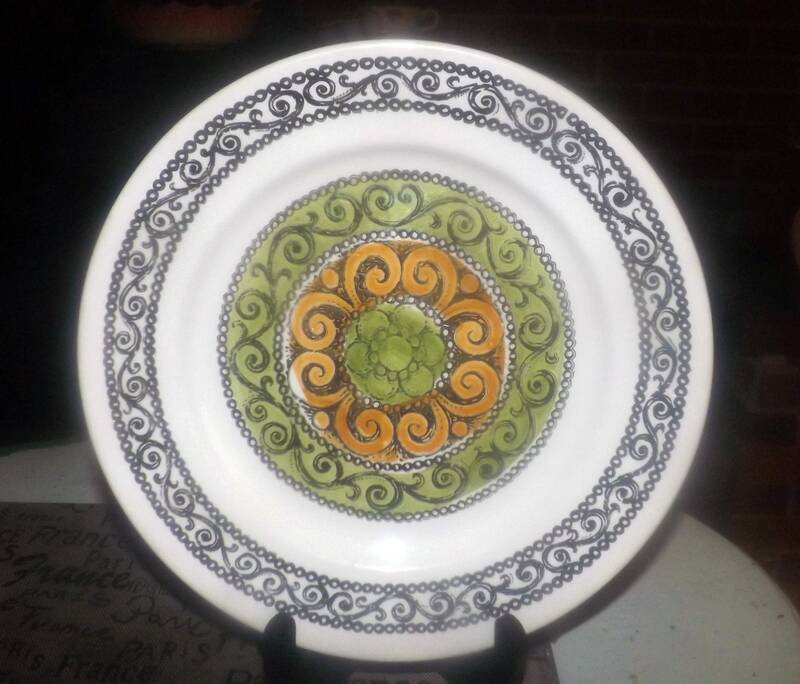 Vintage (1960s) retro Broadhurst Agincourt pattern dinner plate made in England and designed by Kathie Winkle. In EXCELLENT! vintage condition with NO! chips, nicks, cracks, or fleabites, MINIMAL! crazing, MINIMAL! wear or fading of the bold geometric pattern and NO! marks or stains. 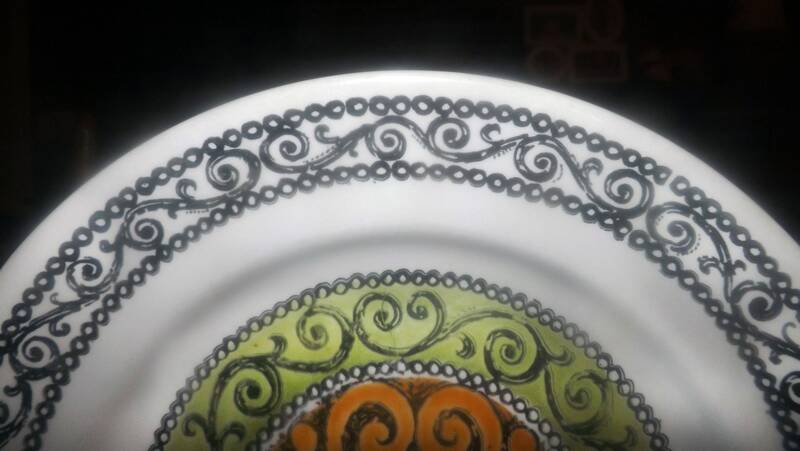 Plate is rated both dishwasher and microwave safe. 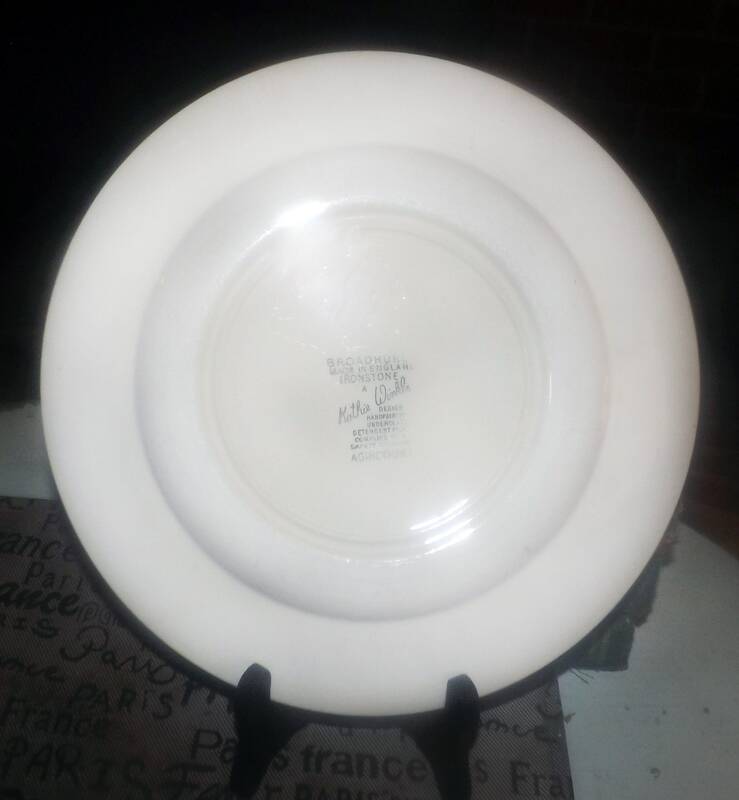 Approximate measurements: 10" in diameter (measured edge to edge across the front of the plate) with a smooth, unadorned edge.